The opening act of a night billed as “Heavy” has to set the right tone, and with a name like Pyscho Skull, the crowd knew Heavy 15’s first act’s music wasn’t going to be pretty. The local quintet stepped up to the plate with five songs of ear-splittingly hard rock. However, as a bystander put it, being loud doesn’t always equal heavy. 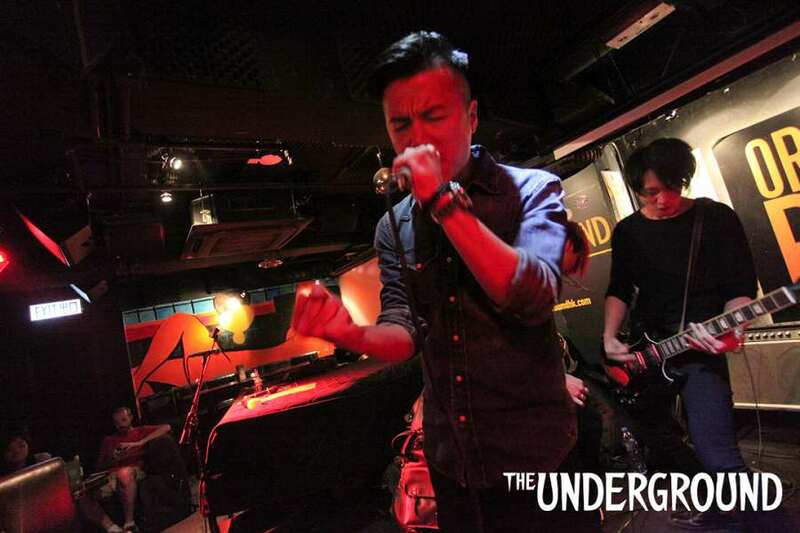 Delivering a shot at metalcore that was more bland than blistering, the band seemed to lose momentum after first songs 燎原之火and Watch The World Burn. It wasn’t so much as the players’ energy dropped; it was more that the same-y songs began to blend into one another and the crowd glazed over as the riffs and howls blended into an indeterminate haze. That said, as the most visually arresting act of the night in tight jeans and blood red hair, Psycho gave a theatrical performance. Guitarists Water and Hode held the show together with considerable talent and plaster was practically torn from the roof upon closer SKULL. Considering the band formed in 2015 and haven’t released any music yet, they have a very clear vision of their own identity. Heavy 15 offered them both stomping ground and learning curve, and there’s no doubt they’ll come back with a sharper bite in future gigs.